SYDNEY — From the moment the keynote doors opened to catching the excitement of the Melbourne Cup to the close of the last breakout session, the OpenStack Summit Sydney went all out. If you didn’t attend—or if you did and want a replay—Superuser collected the announcements, user stories and Forum discussions you may have missed. You can also catch videos for the Summit sessions on the OpenStack website. 1. OpenStack community leaders announced a new plan to overcome the hardest problem in open source today: integrating and operating open source technologies to solve real-world problems. The OpenStack Foundation and community are investing significant financial and technical resources in a four-part strategy to address integration of OpenStack and relevant open source technologies: documenting cross-project use cases, collaborating across communities, including upstream contributions to other open source projects, fostering new projects at the OpenStack Foundation and coordinating end-to-end testing across projects. 2. Launched on Monday during keynotes, the Public Cloud Passport Program is a collaborative effort between OpenStack public cloud providers to let users experience the freedom, performance and interoperability of open source infrastructure. 3. OpenLab is a community-led program to test and improve support for the most popular Software Development Kits (SDKs)—as well as platforms like Kubernetes, Terraform, Cloud Foundry and more—on OpenStack. The goal is to improve the usability, reliability and resiliency of tools and applications for hybrid and multi-cloud environments. 4. During Sunday’s OpenStack Board of Directors meeting, Tencent was approved as a Foundation Gold Member, securing the last available spot for the OpenStack Foundation Platinum and Gold Members. Shenzhen-based Tencent is one of the largest tech companies in Asia and is one of the top five internet companies worldwide by market capitalization. 5. The OpenStack User Survey report was published Monday morning, highlighting a 95 percent growth in deployments in 2017 compared to 2016, including the growth of OpenStack adoption in mainstream industries like finance, government, research, retail and telecom. Findings from this report were also supported by recent research from Cloudify, Heavy Reading, SDxCentral and SUSE. 6. The Tencent TStack Team won the Superuser Awards during Monday’s keynote. 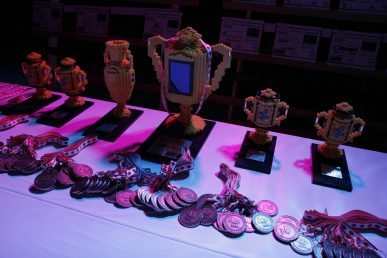 With an impressive use case and contributions back to the community, they’re the eighth organization to take home the honor. 7. Working with the community, the OpenStack Foundation launched the first version of a new OpenStack community portal to ease the on-boarding process for new contributors. Featured content includes onboarding documentation for new upstream contributors, sample configurations for operators, API guides for end users and Upstream Institute, an in-person training session run at many OpenStack events that teaches new contributors about the tools and philosophy behind open-source collaboration. 8. At the Sydney Summit, China UnionPay led the inaugural meeting of the OpenStack Community Financial Services Team which was launched to help identify and fill in the gaps for OpenStack adoption in the financial industry. Learn more about how you can get involved with the team. 9. 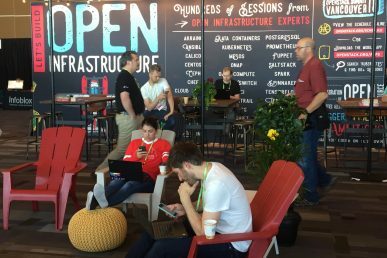 At the Forum, the entire OpenStack community gathered to brainstorm the requirements for the next release, feedback on the past version and talk long-term strategy. The Sydney Forum was the start of the planning phase for the Rocky development cycle. Over the three days of the Summit, people dug into issues like upstreaming long-term support releases and programs like the Passport Program and the new “open infrastructure” strategy. You can catch up with all the Etherpads here. 10. The OpenStack Scientific Special Interest Group (SIG) released the second version of its HPC book, “The Crossroads of Cloud and HPC: OpenStack for Scientific Research.” Each section has been updated to reflect the now-current status of OpenStack projects typically used in specific science and research implementations. Learn more about the updated book and how you can get involved in the SIG. 11. In a recent report from SDxCentral, 87 percent of respondents said that OpenStack would be used to manage edge infrastructure. This significant interest was reflected in the Sydney Summit schedule with several sessions around the emerging use case from organizations including AT&T, Cisco, Ericsson, Huawei, Verizon, Vodafone and more. Beth Cohen, cloud technology strategist at Verizon also led a Forum session around edge architectures and use cases. 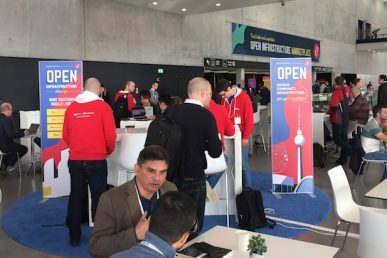 Over 30 OpenStack users spoke at the Summit last week, including Australian companies speaking publicly for the first time. Below is a sample of some of the users who spoke last week, but you can catch them all on the OpenStack videos page. 12. With only four team members, Adobe Advertising Cloud is managing 100,000 cores of OpenStack to power their infrastructure with 30 percent cost savings compared to public cloud. Recognizing the need for a hybrid cloud environment, Nicolas Brousse and Joseph Sandoval discussed their cloud bursting strategy and their plans on further growing their OpenStack private cloud footprint, currently at six datacenters in three continents. 13. American Airlines and DXC shared their experience with OpenStack private cloud deployments in the enterprise realm, discussing different considerations such as automation, integration and application and platform-as-a-service (PaaS). 14. To satisfy growing customer demands and an ever-expanding network, AT&T discussed why the evolution of the OpenStack community’s culture and progress is crucial. During Monday’s keynotes Sorabh Saxena, president of business operations at AT&T Business Solutions, talked about the portfolio of products that rely on their AT&T Integrated Cloud (AIC), powered by OpenStack. These services include Network on Demand, DirecTV Now, Cricket Wireless and FirstNet, the first broadband network dedicated to America’s police, firefighters and emergency medical services. 15. Atmail, a commercial Linux messaging platform provider based in Peregian Beach, Australia, discussed why they chose OpenStack to power 15 percent of their infrastructure, which serves over 150 million email accounts in nearly 100 countries. 16. CERN and StackHPC described some of the early work in supporting large-scale deployments and PaaS offerings to support prototyping and flexible production application delivery for scientists. Specifically, they discussed the scientific goals and infrastructure of the next generation of the Large Hadron Collider (LHC) at CERN and the Square Kilometre Array (SKA) radio telescope, particularly focusing on bare-metal OpenStack providing RDMA-enabled execution frameworks and underlying storage. 17. China Mobile talked about how they designed an automatic integration and testing system for their NFV/SDN network, which includes more than 10 OpenStack clouds deployed in four different provinces in China, with multiple vendors of hardware, virtualized infrastructure and VNF software. 18. In addition to launching the OpenStack Community Financial Services Team, Superuser Awards finalist China UnionPay, shared their five years of experience in building a financial cloud powered by OpenStack. China UnionPay’s OpenStack cloud supports 500 million users, averaging 50 million transactions per day and 3,000 transactions per second at peak. 19. Superuser Awards finalist China Railway Corporation shared their experience with the adoption of open source and the building of their private cloud, SinoRail Cloud. They discussed the prospect of the open source cloud to promote railway business innovation, as well as the trend and direction of cloud computing in large traditional enterprises. The SinoRail Cloud supported 31 billion daily average page view for a recent festival, and it has also supported stable, safe and 24/7 uninterrupted operation of real-time dispatching management for all the trains, locomotives and vehicles. 20. Financial services are one of the fastest-growing industries for OpenStack. Quinton Anderson, head of systems engineering at Commonwealth Bank, shared how open source “in the wild” is coming together for Commonwealth, one of Australia’s largest banks. 21. The Garvan Institute of Medical Research, one of Australia’s largest medical research institutions and in the top five worldwide for genome research, adopted OpenStack to better serve its users, data scientists and researchers. At the Sydney Summit, they went into detail on how OpenStack is helping provide innovative solutions for analyzing genomic data to both its genome sequencing center and its 80+ data scientists. 22. Insurance Australia Group (IAG) talked about the lessons they learned with their migration of many disparate systems into a consolidated open infrastructure, underpinned by Red Hat’s OpenStack technology. In a recent interview with ComputerworldUK, IAG shared how they are saving millions with OpenStack. 23. Partnering with Red Hat and NEC, KDDI Research showed how they expanded the scope of their framework to utilize monitoring data for failure recovery citing benefits such as fast fault detection by shorter interval monitoring and silent failure detection by machine learning with various types of metrics. 24. Acknowledging the high costs of public cloud, Massachusetts Open Cloud presented its use case around High-Throughput Computing (HTC) and how this capability is available in the Massachusetts Open Cloud Marketplace, Giji. 25. In a technical presentation around converting Ceilometer from “legacy” to “Gnocchi” mode in a Mitaka cloud, Overstock.com discussed tradeoffs in performance, difficulties finding relevant documentation, and improvements that appear to be on the way. 26. While Stackers around the venue were betting on the Melbourne Cup—hats off to those who chose Rekindling—the Paddy Power Betfair team shared why they’re betting on OpenStack. In a range of sessions to share their use case and learnings, the former Superuser Awards winner covered covered load balancing, container self-service deployment using Kubernetes on OpenStack and how they have migrated over 400 applications to their OpenStack cloud. 27. Saudi Telecom Company (STC), a $36B USD telecommunications giant based in Saudi Arabia decided to build upon its dominant market position and offer public cloud services to the government, enterprise and SMB sectors across the Kingdom and the wider Middle East region. STC selected OpenStack technologies for the basis of their cloud and partnered with Mirantis and NetApp to help build out a reliable and cost-effective solution. In Sydney, they shared their preliminary goals as well as the challenges and economic decisions made along the way. 28. Telstra joined a panel to present its use case in development for migrating from physical network functions (PNF) to virtual network functions (VNF) as well as discuss the key challenges telcos face integrating the new network virtualization environments with legacy platforms like achieving 50ms convergence. 29. Professors Brendan Mackey and Gary Egan from the Nectar cloud discussed how OpenStack-powered research is enabling significant advancements in fields like climate change and brain imaging. With 12,000 registered users and over 27,000 cores, the Nectar cloud is used by 13 strategic research areas and over 300 projects with competitive research grant funding. 30. After presenting an edge computing demo at the Boston Summit, Verizon returned with two breakout sessions—the illusion of infinite capacity and massively distributed OpenStack, thinking outside the datacenter—as well as a Forum session to discuss reference architectures around edge computing. 31. Two weeks prior to the Summit, Workday published a case study on its strategy to evolve toward OpenStack in every data center, encompassing VMs and bare metal. At the Sydney Summit, Edgar Magana, senior principal software development engineer discussed the SaaS company’s current OpenStack footprint of 50,000 cores, and their plans to triple capacity by the end of 2018. 32. Yahoo! dove into how they are migrating hyper-scale enterprise from legacy infrastructure to OpenStack. Recognizing that it’s a daunting task, architect director James Penick discussed the technical solutions his team leveraged to make it a reality. 33. 451 Research published its latest OpenStack study on Monday at the Summit. Their prediction: service providers with OpenStack private cloud revenue will exceed revenue from service providers with OpenStack-based public cloud implementations in 2018, sooner than previously expected. Read more here. 34. Superuser Awards finalist City Network just announced that SBAB, Sweden’s fifth largest bank with 350,000 customers offering loan and saving products to consumers, tenant-owner associations and property companies in Sweden is using the company’s sector-specific services, City Cloud for Bank & Finance to power some of the bank’s IT infrastructure. 35. Cloud Foundry recently launched Container Runtime as the default container deployment method for Cloud Foundry via Kubernetes and BOSH. The Cloud Foundry Foundation also launched The Foundry, an online marketplace for its expanding ecosystem. 36. Cumulus Networks, the leading provider bringing web-scale networking to enterprise cloud, announced the availability of Cumulus in the Cloud for OpenStack environments. 38. Mellanox Technologies announced the Innova-2 product family of FPGA-based smart network adapters. Innova-2 is the industry leading programmable adapter designed for a wide range of applications, including security, cloud, Big Data, deep learning, NFV and high performance computing. 39. 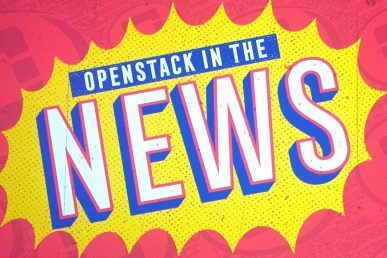 NetApp, Cisco and Red Hat are delivering a jointly designed, developed and tested Cisco Validated Design for OpenStack deployment on FlexPod SF. The central benefit of this FlexPod design is that it is fundamentally easier to deploy when compared to acquiring and configuring disparate storage, compute and networking. Read more about it here. 40. Shortly after the Sydney Summit, Rackspace announced a partnership with HPE to deliver a pay-as-you-go OpenStack private cloud. This model is estimated to provide 40 percent cost savings compared to public cloud and to give private cloud customers the ability to more closely align resources to growth and handle burst capacity, traffic spikes without the need to pay for additional fixed capacity. 41. Radiance Technologies, an employee-owned small business offering a variety of services and products for government and commercial customers, deployed a tailored solution for the Department of Defense (DoD) with Red Hat Cloud Suite. 42. Red Hat OpenStack Platform 12 introduced containerized services, improving flexibility while decreasing complexity for faster application development. Red Hat OpenStack Platform 12 delivers many new enhancements, including upgraded distributed continuous integration (DCI) and improved security to help maintain data compliance and manage risk. 43. Momentum has grown for VNF Certification, with 31 VNF technologies now certified on the Red Hat OpenStack Platform. These certifications allow customers to deploy with more confidence that their chosen solution is enterprise-ready and supported by Red Hat and the specific partner. 44. To support their cost savings use case, IAG is using Red Hat OpenStack Platform to help consolidate and simplify its legacy infrastructure. A trusted partner of IAG for seven years, Red Hat is now helping IAG to connect disparate data sources into a single, scalable private cloud solution to improve customer experience. 45. Red Hat validated the strength of OpenStack adoption in APAC, citing enterprises—such as CapitalOnline Data Service, CargoSmart Limited, Lotte Data Communication Company, and MyRepublic—as customers deploying Red Hat OpenStack Platform to power their hybrid and private clouds for a variety of mission-critical deployments. 46. Storage Made Easy presented M-Stream, a new addition to their Enterprise File Fabric. M-Stream, currently in beta, is a feature that parallelizes large downloads for object storage clouds such as Ceph, OpenStack Swift and Amazon S3. Download the full press release here. 47. Vault Systems, an Australian built and managed highly secure cloud platform, announced a plan to invest $350 million in cloud infrastructure for Australian federal, state and local government. The initiative is supported by Moelis Australia, an Australian financial services group listed on the Australian Securities Exchange. The Moelis Australia Government Infrastructure Fund will build on Vault Systems’ Australian-based and locally owned secure footprint which is already home to global leading technology from vendors including Microsoft, SAP, ServiceNow and Oracle. 48. VEXXHOST, an OpenStack infrastructure-as-a-service provider, launched a new OpenStack consulting service. The service aims to provide companies with the assistance and guidance needed to get any OpenStack project up and running smoothly. 49. VirTool Networks Inc. announced the release of VirTool Network Analyzer version 1.1, a significant update to their tool for fixing network problems on OpenStack cloud systems. VirTool Network Analyzer provides cloud-wide network visualization as well as groundbreaking distributed packet capture and path tracing, addressing the needs of large-scale cloud operators and enterprise customers. 50. ZTE Corporation officially released TECS 6.0, the new-generation Cloud Platform. Based on OpenStack Pike, TECS 6.0 features cloud native microservice architecture and an edge datacenter design. It also employs FPGA hardware acceleration technology and boasts powerful ICT convergence resource orchestration capability. That’s a strong finish for the Sydney Summit, but we’re already thinking about our next run. We had such a great time at the 2015 Summit in Vancouver that we decided to go back! Join us at the Vancouver Summit May 21 – 24, 2018. While you’re saving dates, mark November 13-15, 2018 for the OpenStack Summit Berlin.